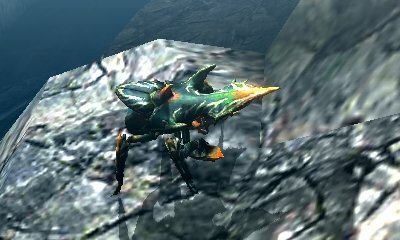 The first in my Beast of Monster Hunter 4 series, I profile the very first monster you come into contact with: the Seltas! In February this year, my partner’s uncle went to Japan on a business trip. While there, we asked him to get us a Japanese 3DS and copy of Monster Hunter 4 each. He delivered, and we started playing the game in March (just after the semester started; best timing). 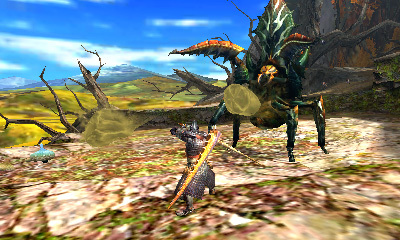 I plan to use my copy of Monster Hunter 4 to write three things: a preview of the game discussing new features and the two new weapons, a review of the game, and a series of articles discussing the brand new monsters to be found. This article is the first of that last objective. I won’t be writing about monsters like the Velociprey, which is found in 4 and in previous generations (excluding 3 Ultimate); I’ll only be writing about the all-new monsters, subspecies included. Updates will be irregular; entries will be written as I get to each monster and feel comfortable enough with it to write about it. Think of this series as a place for new monster information, both in and outside of battle. So let’s get into it! The Seltas is a male Neopteron. He has a female counterpart, and man, she is nasty, but I’ll get to her later. The Seltas is fought even before the Great Jaggi; whether or not it’s easier than the Great Jaggi is debatable, but it’s really not all that difficult. Before going into battle, bear in mind that the Seltas is weakest to lightning. Only one part of its body its breakable, and that’s the giant orange-and-green spike protruding from its head. At the start of the battle, the Seltas will be in the air, where it likes to charge at you from a distance. If it’s hovering out of reach, move away from the ledge to draw it in. I generally have to do this quite a bit, as it likes to stay where I can’t hit it. It also has a tendency to shoot out three green blobs that afflict defence down, much like the Qurupeco from Tri. If you can get it to charge into a wall, it’ll get stuck there, leaving it completely open to attack. If you hit it enough or drive it to the point of exhaustion, the Seltas will drop out of the air for ground combat. It’s pretty easy to hit here, and it’ll use its claws and pincers a lot more than it did in the air. It likes to swipe its claws far out in front of it and spin in a circle with its claws sticking out to knock you over. Keep an eye on the Seltas’ abdomen—it’ll shrink when it’s out of stamina. At this point, it’s unable to fly or shoot green blobs and it’ll scuttle off to find a dead Kelbi to munch on. 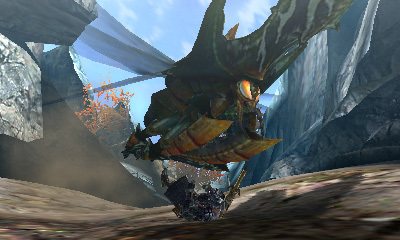 It has a rather irritating habit of going to sleep on a wall out of reach, but that’s easily solved in Monster Hunter 4, as a good whack with your carving knife will knock it down to the ground. Yes, you can attack monsters while climbing in this game, but only with your carving knife. That’s it for the Seltas. Next time, we’ll be covering the Kecha Wacha, a new form of Fanged Beast. Until then, happy hunting! 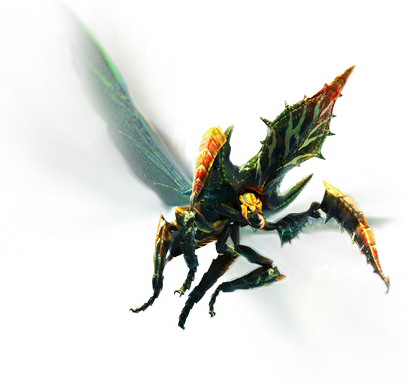 Images were taken from the Seltas page on the Monster Hunter Wiki.